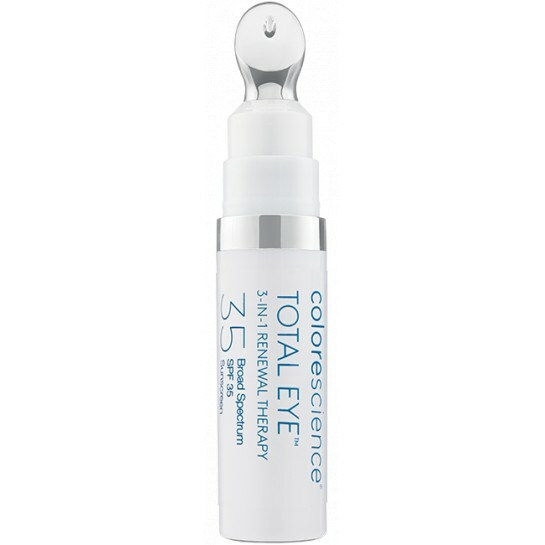 Treat your eyes to Total Eye 3-in-1 Renewal Therapy SPF 35 to visibly improve the appearance of dark circles, puffiness, fine lines, and wrinkles while protecting the delicate eye area against photoaging with 100% SPF 35 mineral sunscreen. It immediately brightens the eye area and corrects imperfections to reduce dark circles and puffiness for a refreshed and rested appearance. It’s chemical-free, 100% mineral SPF 35 defends against UVA/UVB and environmental stressors that contribute to skin aging. And it helps restore skin health with hydration that provides support for sagging skin to enhance the upper eye area, and improves the appearance of dark circles, puffiness, fine lines, and wrinkles.